It is an uncertain time for power and energy companies. The rise of natural gas and the decline of coal have changed the dynamics of the sector. Solar panels become more efficient, and cheaper, with every iteration. Unknown future risks related to tax and trade policies magnify known risks. Upgraded transmission lines and emerging battery technology add further ambiguity to projections of future demand for power. The automotive industry is slowly but surely shifting toward electric vehicles, throwing off demand for oil. Some European countries have announced plans to phase out cars with internal-combustion engines within a couple of decades. Power generation, transmission and distribution companies operating in unstable jurisdictions and environments in the emerging markets face a host of especially complex issues. For example, it is common to see loss or theft of power between the generation point and the point of sale to a government or utility company. Emerging nations often have severely outdated transmission infrastructure. Given the uncertainty in the sector, some power generators in certain jurisdictions also have a checkered credit history. 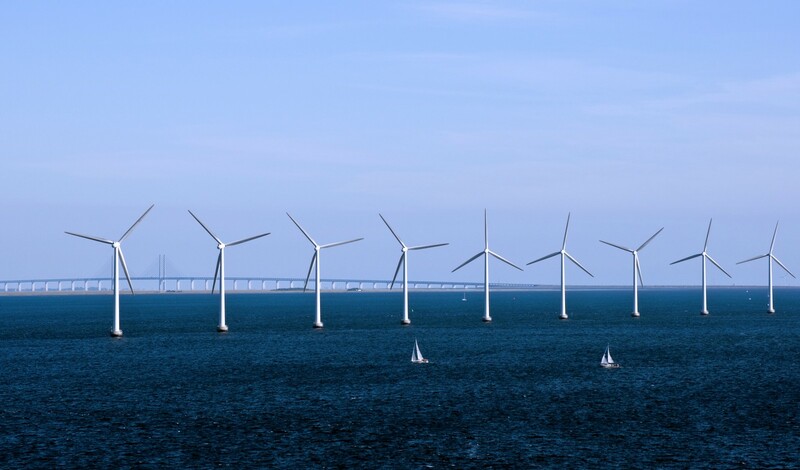 A wind farm off the coast of Denmark. New battery technologies and solar panels are expected to level out energy requirements for residential use. The spikes and falls, on which a lot of utility companies and related organizations have relied for revenue, will be smoothed out by technology. Tesla’s power walls and vanadium redox batteries will be able to provide a surge power directly to residential users, whenever required. Some analysts suggest that policy level risk is at an all-time high in the power sector, due to the technological, political, regulatory issues discussed above. Technological innovation is moving faster than policymakers can regulate it. Even coherent policies must interact with other policies at different levels. In the United States, for example, a harmonized energy policy would require coordination between federal, state and local entities that often have different priorities and interests. In this uncertain market environment, there is a pressing need for companies to stay competitive, and explore alternative strategies that will complement their current business models. This article suggests that certain power generators should consider using cryptocurrency mining to their advantage, by installing cryptocurrency mining rigs on, or in close proximity to, their operations. Cryptocurrency mining uses mining rigs to convert electricity into cryptocurrency coins. Running mining rigs at full speed is a highly energy intensive process. Power generators can use excess power, which would otherwise go to waste, for cryptocurrency mining. Most cryptocurrencies are designed to decrease production of currency over time, placing a cap on the total potential currency in circulation. Since this imitates the mining of precious metals, the act of producing new cryptocurrency units is referred to as mining. Cryptocurrencies are mined by powerful computers or mining rigs solving complex mathematical puzzles (following the proof of work method). Once calculations are successfully performed for several transactions, these verified and timestamped transactions are bundled together and stored on a new ‘block’ on a distributed ledger or public blockchain. The cryptocurrencies can be mined by running the ‘SHA256 round hash verification process’. The speed at which a user mines a currency is measured in ‘hashes per second’. A miner is rewarded for providing their computing power and electricity: they receive a unit of cryptocurrency upon completion of a certain amount of work. A miner thus has a financial incentive to maintain the security of the cryptocurrency ledger. To pick a location for an efficient cryptocurrency mining operation, electricity, internet speed, and temperature must be taken into account. A company should plan to have at least a couple of high speed enterprise fiber internet connections. Since a power generator would be using its own power, the mine should be located near the generation center or close enough to transmit the extra power there without having to set up new transmission infrastructure. Mining rigs heat up when running at full capacity, and therefore a cooling mechanism is necessary. Facilities in colder climates would have lower cooling costs. The hardware requirements can be customized based on the strategic goals of the company. Powerful mining rigs are an essential investment. The key lies in installing application specific integrated circuits (ASICs). There are two types of ASICs: the SHA256 and the scrypt. An organization should choose the appropriate one, based on which cryptocurrency the organization wishes to mine. 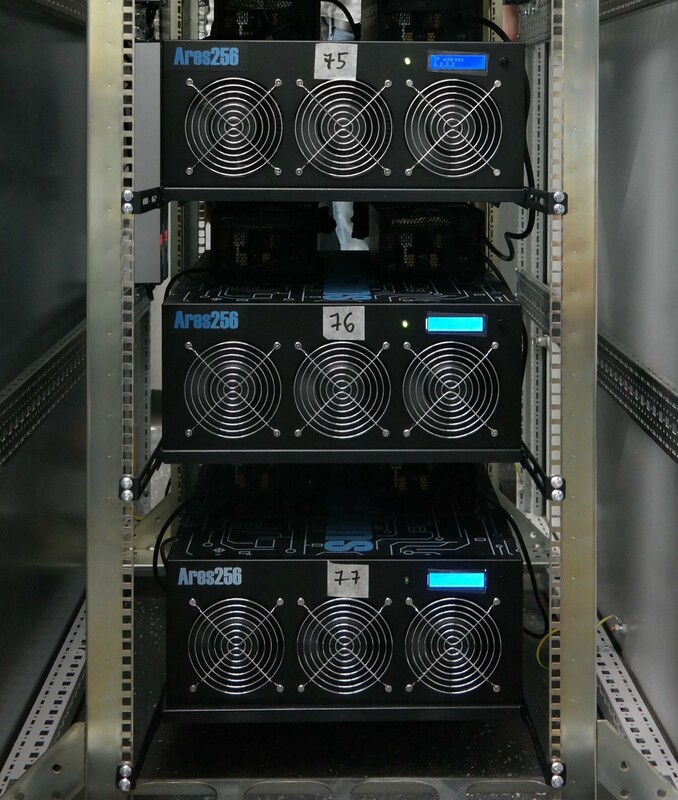 The following are the most powerful ASIC rigs as of today: AntMiner S9, Avalon2, BFL 500 GH/s Mini Rig, Bitmine Avalon Clone, Black Arrow Prospero X-3, HashFast Baby Jet, HashFast Sierra, KnC Saturn, KnC Jupiter, KnC Neptune, Spondooliestech Yukon, TerraHash DX. A cryptocurrency wallet is a device which stores a user’s private key — a secure digital code known only to the user. This private key shows ownership of a public key — a public digital code connected to a certain amount of cryptocurrency. A wallet stores a user’s private and public keys, acts as a personal ledger for their transactions and allows them to enter into transactions, by sending or receiving cryptocurrency units. 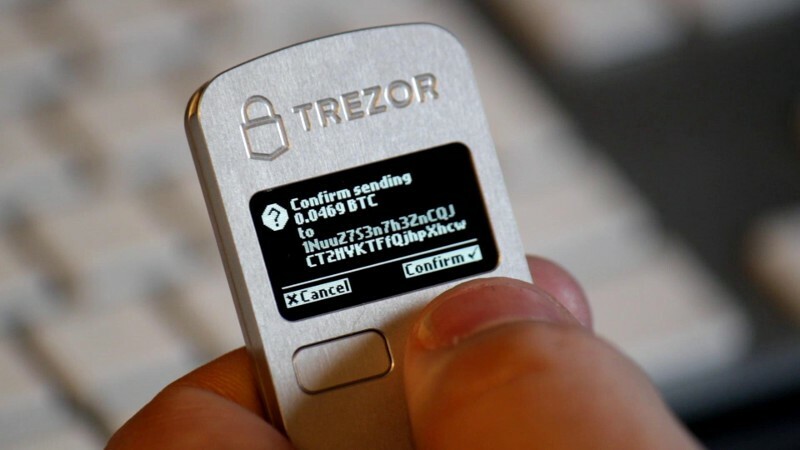 Cryptocurrencies should ideally be stored on an offline wallet, for example a hardware wallet such as Ledger, KeepKey, or Trezor. These wallets can store cryptocurrency units and be held in a secure facility either onsite or offsite (in a separate office, city or even continent). It is also important to note that all mined cryptocurrency need not be held in a single wallet: it can be spread across several wallets for safety. Think of the wallet as a small safe that has a user’s secret digital code, which the user needs to send or receive currency. Picking the right mining software is essential. Mining software is a client that allows the user to quantify and control the mining process. It also works to monitor rigs, and to ensure they are running at optimal speed. This software also displays statistics like the speed of each miner, hash rate, fan speed and temperature. CGMiner is the industry leader in cryptocurrency mining software, and BFGMiner and EasyMiner are also worth consideration. In order to exchange virtual coins for conventional currency, and vice versa, a user must join one or more cryptocurrency exchanges. Kraken or Shapeshift are two options: they are both user friendly, have sensible verification processes, and keep fees low. Several other exchanges exist, and it is important to conduct diligence before signing up for one. Signing up is not instantaneous: there is a verification process and it takes time to convert conventional currency into cryptocurrency before trading can begin. Similarly, there is also a time lag in the conversion from cryptocurrency back to conventional currency. 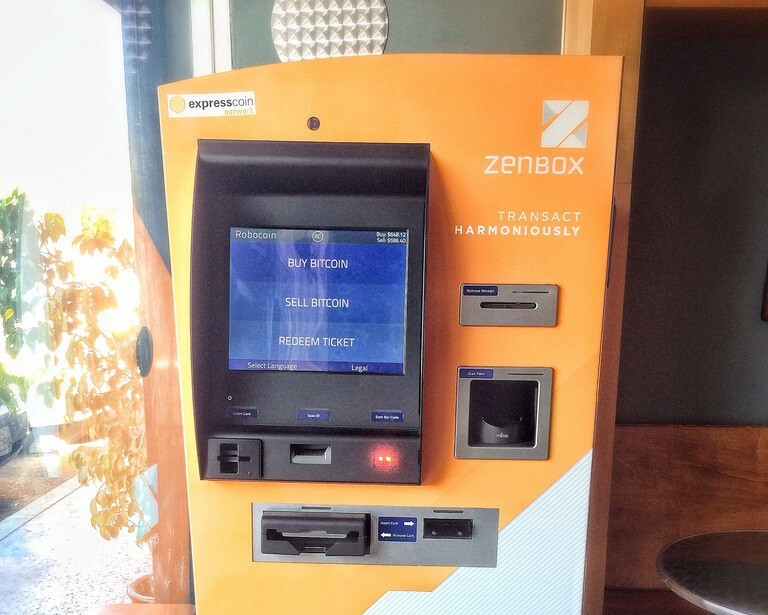 A bitcoin ATM in Los Angeles. The business of power generation is markedly different from the business of cryptocurrency mining. A different management style may be required to run a successful mining operation. It is important for management to understand the kind of efforts that make a mining operation successful. The cryptocurrency industry is evolving at a breakneck speed, and it is therefore crucial to stay up to date with the latest software, hardware, and news. It is important to adopt processes and procedures to monitor the industry on a weekly basis, to continuously improve mining performance, and to adjust strategy in a timely manner if necessary. Strong checks and measures should be in place to protect the facility and to secure the wallets on which the mined cryptocurrency tokens are stored. Technicians who understand the hardware and the software must be present 24 hours a day to ensure the proper functioning of the facility, and to deal with any issues that arise. Since the cryptocurrency market is volatile and in its early stages, the following cryptocurrency strategies should only be adopted to use excess power and resources that are at risk of being unused. This strategy focuses on mining a few established currencies that have a lot of present value, such as Bitcoin and Ethereum. The cryptocurrency market is extremely volatile, so an approach that relies on established currencies is a prudent one. 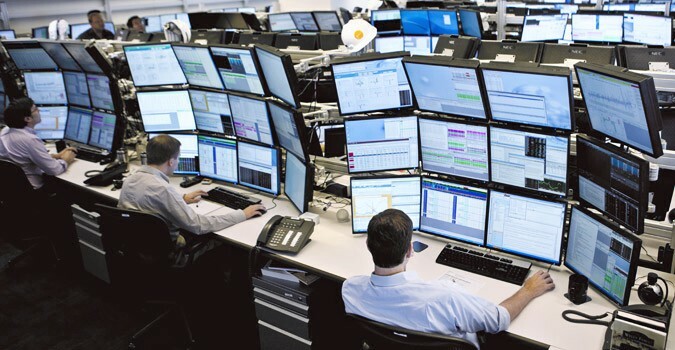 The markets for such currencies is more fluid than for other currencies, and therefore short, medium, or long term trading strategies are all possible. There are over a thousand cryptocurrencies in existence today, with several more being created every week. While a lot of these are non-starters, many have established themselves in the space and made exponential gains. With the right mining setup, it could prove lucrative to mine a diverse set of cryptocurrencies over time and be prepared to hold them for the medium or long term. A position in a particular currency should only be exited when that currency has risen in value exponentially. A power company that does not want to enter this space directly can still participate in this market. By partnering with professional miners, power companies can sell their excess energy at a slightly discounted price. There are several professional cryptocurrency mining firms in operation today. Electricity costs are one of their highest recurring expenses. The potential therefore exists for mutually beneficial partnerships, in which power companies provide the power and a space on or near a power generation facility, and cryptocurrency mining firms use their expertise and invest in mining equipment, as well as manage the day to day operations of the mine. This approach would also reduce the capital requirements of the undertaking. The cryptocurrency phenomenon is the first major application of blockchain technology. As blockchain technology is disrupting finance today, it can be expected to transform other major industries in the future, with applications in healthcare, logistics, and energy. Mining cryptocurrency can afford energy and utility companies the additional benefit of better understanding blockchain technology. There is an opportunity for nimble power and energy companies to explore new avenues and make the best of the current cryptocurrency market environment. By investing in cryptocurrency mining, these firms can build up a portfolio that includes valuable cryptocurrencies, as well as a host of cheaper (similar to penny-stock) cryptocurrencies which may rise in value in the future. Most cryptocurrencies today are similar to, or derived from, Bitcoin. Bitcoin uses the proof of work mining method for transaction verification and block creation. Some currencies are switching over to the proof of stake method, which is not energy intensive. (Read more about the proof of stake method here.) In the more common proof of work system, companies with access to cheap power have an advantage. A cryptocurrency mining operation will require dedicated resources and management focus to set up and run. However, given the uncertainties of today’s power and energy markets, and the competitive advantage that companies with cheap power have in mining, a cryptocurrency mining operation could be an attractive option for many companies. Cryptocurrency is here to stay, and companies in the power and energy space should embrace it sooner rather than later.